Loaded with coffee and stories from around the world, Big Voice Jay and Tory get together for the first of five Saturday editions of Dirty Boxers. Along the way, Marty makes an appearance and proceeds to comment on things. Leigh makes an appearance in the second hour during talk of toilet selfies. Emory University Hospital is expected to receive a patient infected with the deadly Ebola virus within the next several days, the university announced Thursday. Maybe the name “monster” should be a clue. 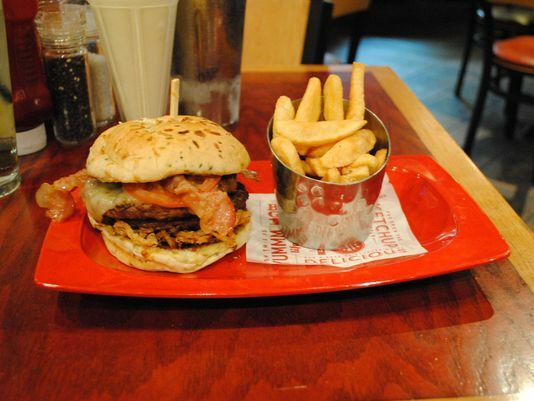 If not, the nutrition watchdogs at the Center for Science in the Public Interest have news for you: A “Monster” double burger, served with “bottomless” fries and a “Monster” milkshake at the Red Robin burger chain, is not very good for you at all. A Kentucky teen sustained serious burns after trying to imitate the so-called “Fire Challenge.” The online stunt involves pouring alcohol on your body and lighting yourself on fire. A boy in the Houston area was recently injured while trying the stunt. Stephen A. Smith, who foolishly suggested that women may play a role in provoking illegal violence from the men in their lives and then doubled down on Twitter before finally apologizing via teleprompter, has been suspended for a week by ESPN. Dozens of federal employees at an obscure agency that handles appeals of patent applications went years with so little work to do that they collected salaries — and even bonuses — while they surfed the Internet, did laundry, exercised and watched television, an investigation has found. British Designer Gigi Barker makes chair out of “flesh”? If you’re missing that human touch (maybe your guy’s out of town for a while), then this might just be the furniture for you. Because sitting on one of these chairs is just like perching yourself atop a real mound of human flesh apparently. Cosy.